That's right! 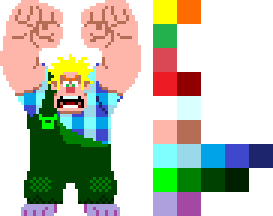 The newest, and, of course, the third Wreck-It Ralph character I'm planning to make! Vanellope will be released on December 25th. Wreck-It Ralph and Fix-It Felix will have massive updates including new specials and hypers that will be released on the same day as Vanellope's. Re: Vanellope Glitches into Action! 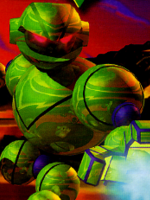 plz god dont make it like atari dragon I can't even use that char cause my eyes hurt and I get a headache. Gotta update Atari Dragon then. Wreck-It Ralph and Fix-It Felix will have massive updates including new specials and hypers on December 25th, starting with everyone's favorite bad guy. Wreck-It Ralph's new special "Tapper's Lost and Found" from the original Wreck-It Ralph movie. 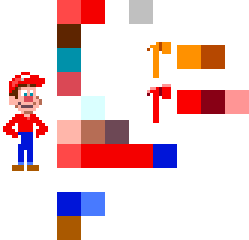 He has brought some things from Lost and Found in Tapper's and can throw one of the 3 random things: Super Mario Bros's Mushroom, Metal Gear Solid's Exclamation Mark, and Street Fighter's Zangief's Underwear. Gross. I have a question and I wouldn't think this would mean anything to you, but...why did you cancel on the bare knuckle style hong meiling? I have yet to even start on that character, but maybe. Vanellope's new level 2 hyper "Character Malfunctioner." When Vanellope prepares for a counter attack, she strikes back if hit using her glitch power to slow down an enemy movement, disabling a guarding ability for a short period of time. Felix is ready to fix the competition once again! 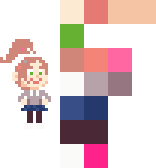 Palette template time! 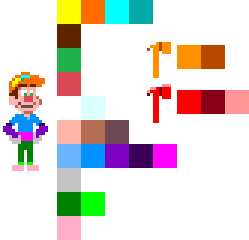 This time for Wreck-It Ralph, Fix-It Felix, and Vanellope. Ralph has a new special, "8-Bit Bricks." He can now place a cube of bricks across the stage, however it has no effect at all... or does it? Vanellope's second level 2 hyper "Glitching Madness." She jumps onto the center of the stage, and unleashes her powerful full-screen glitching attack. Felix will have new specials coming next Tuesday, just in time for Christmas! For example, "Self-Fixing" lets him recover 85 HP to himself, "Fix It, Felix!" recovers his low HP ally to 750 HP (This only works in simul mode), 105 HP to himself, and "Power Of Positivity" grants 500 power. Ralph has finally learned a new hyper, "Break The Internet" from the movie sequel, Ralph Breaks The Internet. Ralph throws a cursor towards the opponent that drags it up in the sky, and slams it down to the ground. 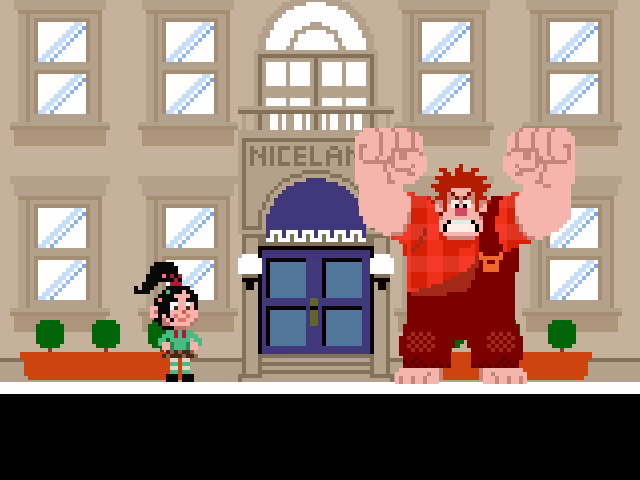 Based on the mobile RPG game, Disney Heroes: Battle Mode, Felix calls the Nicelanders to charge in his new level 1 hyper, "Nicelander Stampede", dealing a great damage and stunning the opponent in a short amount of time. Ralph's new level 2 hyper, "8-Bit Blast" from Kingdom Hearts III. Remember those bricks from "8-Bit Bricks" that he placed that has no effect unlike the source game? You can now detonate them using this hyper. One brick cube doesn't hurt that much, but multiple bricks can explode, causing some serious damage! 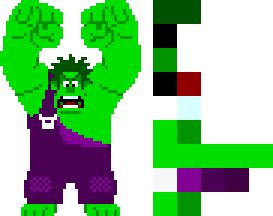 This hyper can't be activated until one of the bricks from 8-Bit Bricks have been summoned. Felix's new level 2 hyper, "I Can Fix It!" lets him recover 500 HP to himself. You can't activate this hyper until you have 250 HP or less. Felix's final hyper, "Super Pie" lets him eat his delicious pie to give him an invisibility and increases his damage output for a half amount of time. Coding a color-changing hat would totally be impossible, as it will take a lot of time to code. Tomorrow, it's about to go down. Ralph has a new, final hyper, "Wreck-It Rush!" A direct inspiration to Donkey Kong's new final smash Jungle Rush from Super Smash Bros. Ultimate. He repeatedly strikes the opponent with a massive flurry of punches, and finishes 'em off with a strongest uppercut. The whole attack will miss if the first hit doesn't contact the nearby opponent. Be warned that this move is 99% unblockable, so be sure to go as far as you can from him. Video preview is here! This includes the new Wreck-It Ralph, and Fix-It Felix Jr.! 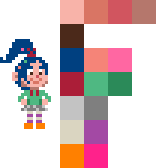 Releasing tomorrow with the full version of Vanellope!